What does it mean to be energetic and how is it assistive in our pursuits? 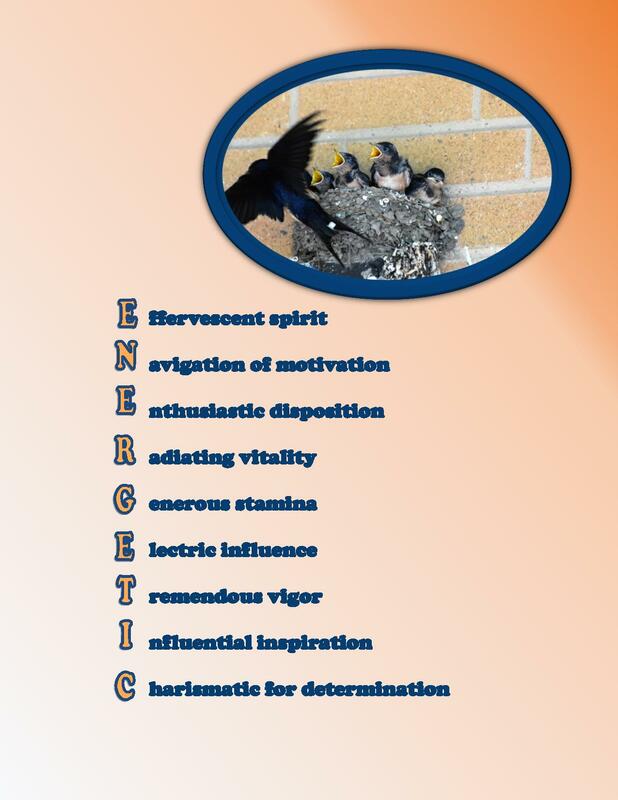 When energetic, a person exhibits a capacity for vigorous activity. This is assistive in the pursuits of life because diverse opportunities encourage the use of energy from various sources. Emotional, mental, psychological, physical and spiritual energy constitute one’s ability to strive through the events life offers and contributes to success. In preparation to pursue a goal, an energetic person displays an effervescent spirit navigated by their motivation. Their disposition is determined by their enthusiasm and the essence of the vital spirit they radiate for the task at hand. A generous stamina is contributed and inspires a group with an electric influence that promises success. An energetic spirit demonstrates tremendous vigor with influential inspiration and is charismatic with power to motivate others with determination. An energetic person generates optimism for success and dissolves any doubts that arise. Anticipate a life full of activity, determine your desires and share your energy to accomplish success. Explore your sources of energy, embrace your ability to inspire and enjoy the gifts created by sharing your vigorous energy.